It has always been a big question with no definite answer: what’s better - a product of a famous brand known to everyone or a good product with a small circle of fans. Essentially, you frequently are in two minds because you are not sure what you’re paying for with a popular brand - superior features or simply good marketing. In our today’s shopping cart case, things are upside down. 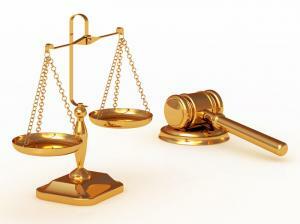 We are going to compare a very popular free platform and its moderately known paid alternative. Intriguing? Can’t wait to get to know the names? So, it is Magento vs AbleCommerce matter. AbleCommerce - who, where and when? In spite of being heard of by relatively few users, AbleCommerce is in fact one of the pioneers of the ecommerce, born in USA 20 years ago at the dawn of the online shopping era. It was one of the first carts to meet the demands of merchants and compete with giants like IBM and Microsoft. Nowadays, AbleCommerce offers an all-round solution for online business- an ASP.NET based shopping cart plus hosting for easy and quick start paid monthly, or a licensed shopping cart to own it forever and host by your own choice. No doubt, you’ve already heard of this celebrity shopping cart. Possessing the largest market share and powering a staggering number of sites, it is the leader on the ecommerce arena. Being totally open source and completely free to download and use, Magento is also extremely feature rich and allows you to do virtually anything with your store, setting no limit to the customization opportunities. Written on PHP, it has won the affection of thousands of talented developers who keep contributing to their favourite shopping cart, creating numerous extensions and themes. There are a few things you should know about this cart before you rush to download and set it up. First of all, Magento is aimed at mid size and large businesses. For smaller stores or startups, it would be an overkill, due to the multitude of options and options of options where you can easily get lost. Also, it features a steep learning curve, so this is not recommended for newbies or merchants not willing to invest into a developer’s services. Finally, troubleshooting is possible only via the community forums, as the “traditional“ technical support is available only for Magento Enterprise Edition. Now, time to find out other details about the carts in question so that you could finally make your selection in this AbleCommerce vs Magento battle. AbleCommerce offers over 20 themes that are easy to customize with no HTML knowledge. Yes, the number is far from being impressive, but the simplicity of customization and brandind your store looks can be some kind of an excuse for the limited number of themes. You can also select the layout from several default ones or create your own one via a convenient editor. 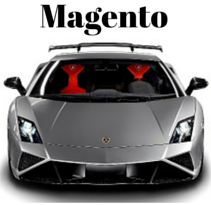 With Magento, it is a totally different story. It has a multitude of free and premium themes available at various marketplaces to fit to your store image. However, unless you are a seasoned pro, it is a complex task to install a new theme or even customize it. There is a risk of breaking the store functionality. AbleCommerce hosted version starts at $99 a month, so you get a ready to go online cart, hosting and security taken care of. No transaction fees are included. As to the support, you get it for free only the first 30 days after the purchase. On the other hand, the lifetime license for the self hosted version of AbleCommerce costs $1295 and includes free updates for 12 months. Magento, on the contrary, is free to use. But in fact, starting the store on Magento means serious spendings at the start when professional help is needed to get the shop up and running, so be ready to invest. Afterwords, you may also need to buy the additional extensions, but that is individual. 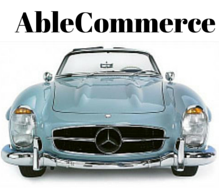 AbleCommerce presents most of the basic features the online store can need from the start. A very important one is PCI certification out of the box, as AbleCommerce is on the list of validated carts, meaning your customers will be able to purchase safely from you. It is also well equipped for mobile commerce, so you wont need extra apps or paid access to get this feature. A rare and useful function of AbleCommerce is the ability to subscribe for goods used regularly, which is a great way to retain customers. The overall user friendliness and simplicity in operating the store add up to the functionality, making AbleCommerce a viable choice. It also offers a convenient system of ugrades available for a small fee to always keep pace with the latest developments. However, the mechanism of upgrading customized stores has not yet been worked out. Magento is much richer in terms of functionality out of the box, as well as flexibility for further customizations. It features complex analytics, robust reporting, wide SEO capabilities etc. Other than that, Magento lets you live virtually any marketing or functionality dream. If the desired feature is not present out of the box, you can find it among the multitude of extensions, the number of which is impressive, or have the code tweaked. 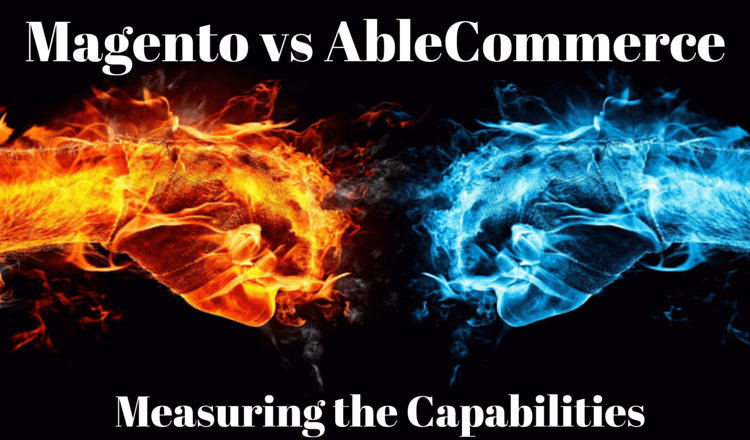 We could go on comparing AbleCommerce to Magento in all possible aspects, but looks like everything is clear if the choice is between them only. AbleCommerce is a decent, secure and easy to use solution fitted for small and medium businesses that require basic functionality and do not wish to plunge too much into the technical stuff. Magento, on the other hand, would be more suitable for large and enterprise sized companies with extensive requirements for customization and enough resources to handle the complexity of this cart. Finally, if you already own an AbleCommerce store that already outgrown the platform, your can easily migrate AbleCommerce to Magento with Cart2Cart. This online service will make sure your AbleCommerce to Magento move is swift, accurate and requires absolutely no coding knowledge on your side. Try it out right now with the free Demo and go ahead to your dream store!